A careful acupuncture of ecological and cultural interventions are integrated into an existing 150 acre expanse of specied tree farms edging the Miaojing River. 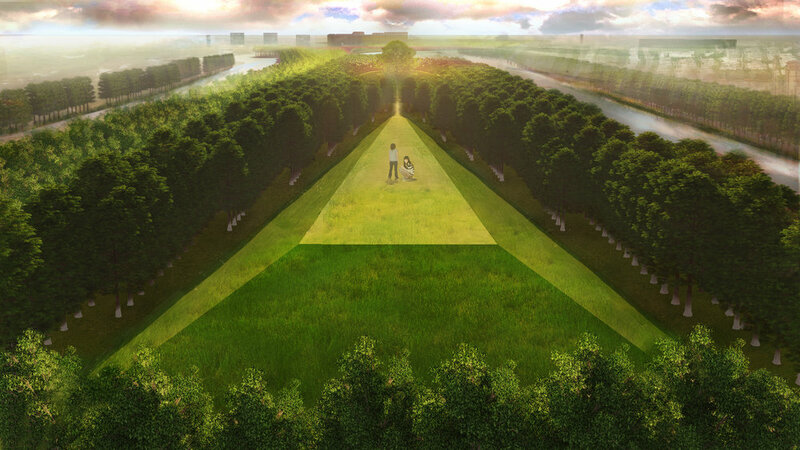 The park forms a dynamic and resilient waterfront, offering a pastoral experience to visitors and culminating in a green corridor spanning to Shanghai. 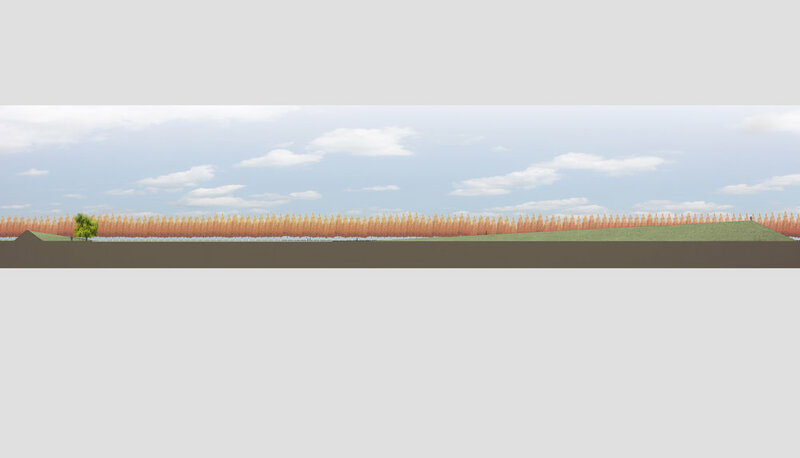 The site concept is founded upon the existing condition; all interventions are reliant upon balanced cut and fill of existing soil and tree stock (see diagram, opposite). The result is a picturesque and traditional landscape evoking the history and tradition of place in lieu of recent international development trends toward hyperurban spectacle.